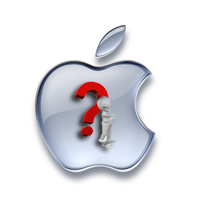 Apple Alert - New Product Launch this week? Discussion in 'Apple iPad News' started by iDan, May 16, 2011. Thereâ€™s an overnight shift planned for around 10-15 individuals at each Apple Store to work from late Saturday all the way through mid-Sunday. During the overnight shift, itâ€™s going to be required that employees lock cell phones in the main office. They will also have to sign an NDA with Apple. There are a wide variety of roles, weâ€™re told, for the overnight shift. This includes all visuals staff, a manager, a business team member, a few Genius team members, one back-of-house employee, and a few generic Apple specialists. Employees have had to download gigabytes of data from Apple corporate labeled, â€œtrainingâ€ in a password-protected zipped folder that wonâ€™t accessible to managers or anyone else until Saturday afternoon. I wonder what it'll be. Maybe the iPhone 5? a new ipod? what do you guys think? Would love for it to be the new iPhone5. I will then get my daughter's iPhone 3, since she is anxiously waiting for the new iPhone to be released. Saying that, she thought the new phone wasn't coming out until the Fall. Apple will introduce it's cloud services this weekend. Apple will introduce its cloud services this weekend. Total revamp of iTunes and the App Store? In my dreams, lol. It will probably be the cloud service, as Aspasia says. It seems unlikely that it will be anything hardware based, so probably not a new iPad/iPod/iPhone/iMac/Macbook, as those tend to get announced beforehand. Apple would want to let consumers know beforehand, so that they get excited and will try to buy at launch day. I don't think Apple is at that stage, where people are willing to wait in line for an unknown product, or are they? An updated MobileMe service would make sense.